Dieter Meister was serving with KG 40 in September 1942, based in France, operating Ju 88 C twin-engine fighters. Leutnant Meister was assigned to 13./KG 40, tasked with protecting U-boats during their passage across the Bay of Biscay. The unit also preyed upon Allied aircraft enroute from the United Kingdom to Gibraltar and the Mediterranean theatre. He claimed his first victory on 15 September, when he shared in the destruction of a RAF Whitley twin-engine bomber over the Bay of Biscay with Unteroffizier Johann Kaltenbrunner. By the end of 1942, Meister had added two individual victories and another two shared victories. By February 1943, Meister was serving with 15./KG 40. On 9 February, in combat with RAF Beaufighter twin-engine fighter-bombers, he claimed two shot down to record his third and fourth individual victories. Meister had transffered back to 13./KG 40 by July 1943. On 18 September, he shared in the destruction of an unusual victim. V./KG 40 had sent a number of Ju 88 Cs out on patrol over the Bay of Biscay. There they encountered a RAF Halifax four-engine bomber towing a Horsa glider, enroute to North Africa. The Horsa glider immediately disengaged from its tug and was set upon by the Ju 88s and ditching in the sea. The Halifax was able to escape into cloud. On 13 October, 13./KG 40 was redesignated 1./ZG 1. In January 1944, Oberleutnant Meister was appointed Staffelkapitän of 3./ZG 1. On 5 August 1944, 3./ZG 1 was disbanded.  Following conversion training to single-engine fighters, Meister was appointed Staffelkapitän of 10./JG 2. On 21 November 1944, Meister was killed in action. 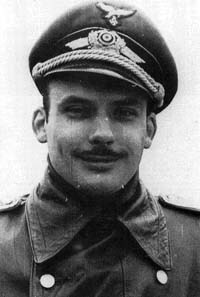 Dieter Meister was credited with at least eight victories in over 200 combat missions. He also gained a number of shared victories. All his victories were recorded over the Western front.